Expert AC Repair Service. No Hassle, No Hidden Fees. We Fix the Problem, Guaranteed! Air Conditioners, although simple to use, are really a complex system. Over the years, extended use, lack of maintenance or simply faulty parts can break down the air conditioner and leave you hot and frustrated. But no worry, we can help! BBC Air Conditioning and Refrigeration offer a 24/7 Air Conditioning Repair services and will get you cool and comfortable in no time! Equipped with the latest technologies in the field, you can count on our expert technicians to diagnose and identify the problem quickly and accurately. Air Conditioning Repair Services – Get it done right, the first time! We follow an accurate and professional process to diagnose and identify the problem at the source. When inspecting your Air Conditioning system, we use specialized tools to measure the whole system as whole and each and every part that makes it work. Following this type of process ensures that nothing is missed and brings back your Air Conditioner to life, sometimes even better than before. We Repair all Air Conditioners! 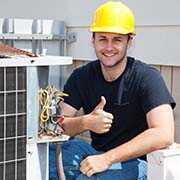 We are proud and confident in our ability to fix any Air Conditioner and cooling system out there. Extensive training, Years of experience and a proven process gives our company a superior advantage. We are authorized installers and service providers for all the leading Air conditioning brands and are up to date with all the new technologies and brands out there. We will fix your air conditioner, guaranteed! It can get really hot in New York City, and a broken Air Conditioner could make your home or business feel like a boiler room. We know how you feel and we would gladly help! Using our multiple locations and dispatching technology, we can have a technician repairing your Air Conditioner in as fast as 20 minutes. Our Emergency AC & refrigeration service is available 24/7 and will always be there when you need it! Get your Air Conditioner Working Right!